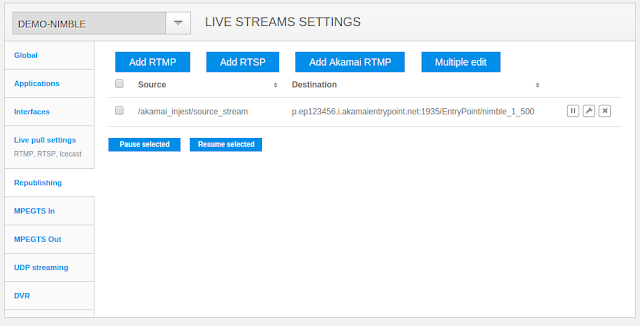 Akamai requires synchronized video and audio in your live stream, so you need to enable interleaving compensation for the source application for further publishing. This application needs to be used as a target for your encoder or transcoder which you use as an origin for your stream. Another requirement for the source stream is that its time stamps must be sequential. Now, being logged into WMSPanel, go to Nimble Streamer -> Live streams settings top menu. Open application settings. Now click on Add application settings to open the dialog below. Here you will enter the name of the application that will be publishing RTMP stream to Akamai. 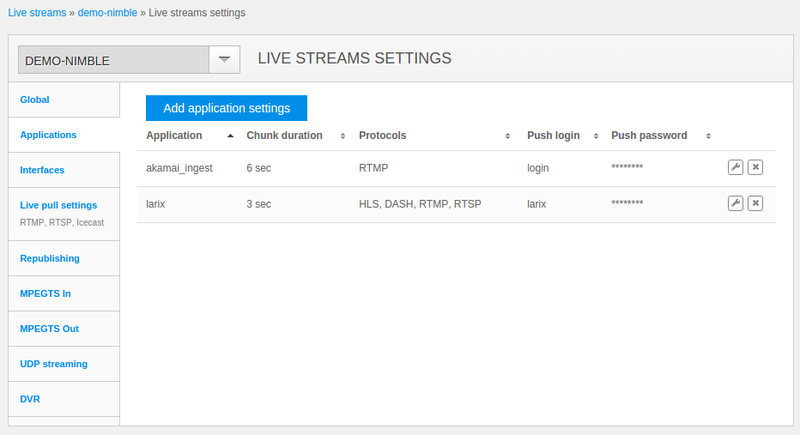 So your encoder needs to have that stream as output. Adding application for further Akamai publishing. 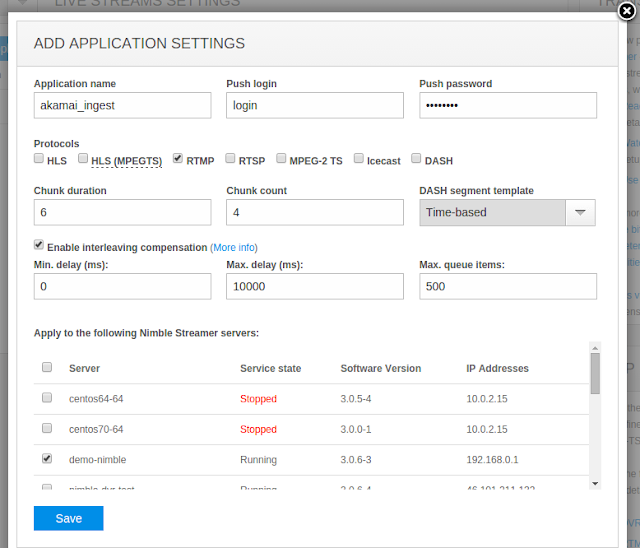 You can define the application name as well as its publishing login and password if required. Selecting RTMP protocol from the list of check-boxes should be enough. Then save this setting to the designated servers. Your apps list will be appended with new item. 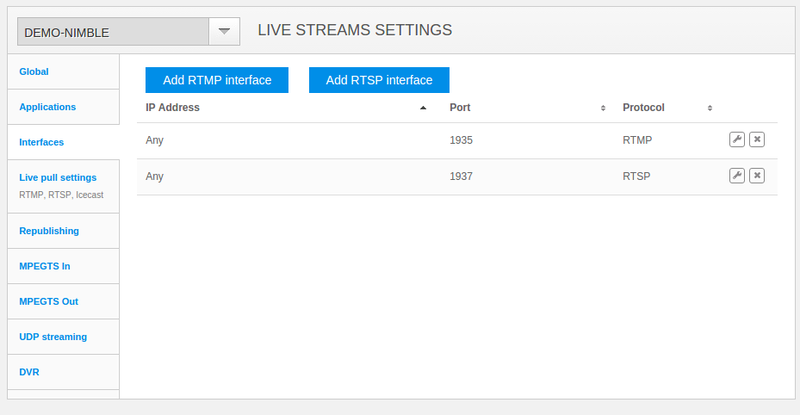 Notice that you also need to define interface and port for RTMP publishing in Interfaces tab as well. Now your stream is ready for re-publishing to Akamai. 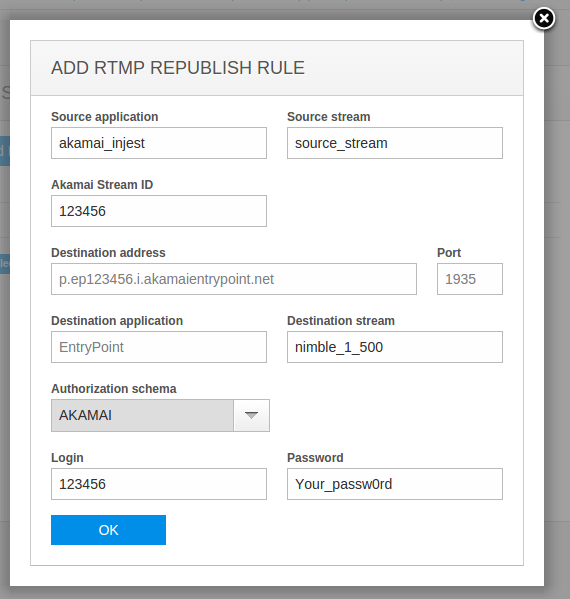 Now click on Add Akamai RTMP button to see the dialog below. Source application - this is the app which you previously created. 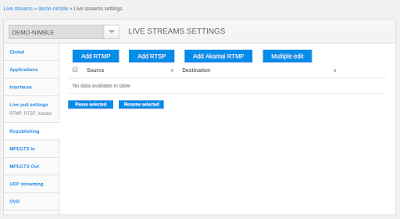 Source Stream - this is the stream created by your source encoder. Destination application an Stream are defined by yourself. Authorization schema will be set to "Akamai"
Login and Password must be known to you. That's it. Once you start streaming from your origin encoder, you'll get the stream in the CDN. 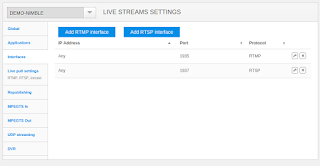 Use the playback URL provided by Akamai.